If you cannot access a manuscript via the provided links, please contact us and we will do our best to get it to you. Jain RW, Parham KA, Tesfagiorgis Y, Craig HC, Romanchik E, and Kerfoot SM. Autoreactive, low-affinity T cells preferentially drive differentiation of short-lived Memory B cells at the expense of germinal center maintenance. Cell Reports, 2018; 25(12);3342-3355. Gonzalez DG, Cote CM, Patel JR, Smith CB, Zhang Y, Nickerson KM, Zhang T, Kerfoot SM, and Haberman AM. Non-redundant roles of IL-21 and IL-4 in the phased initiation of germinal center B cells and subsequent self-renewal transitions. Journal of Immunology. 2018; 201(12): 3569-3579. Singh B, Summers KL, and Kerfoot SM. Novel Regulatory Th17 cells and Regulatory B cells in Modulating Autoimmune Diseases. Cellular Immunology. 2018: In Press. Tesfagiorgis Y, Zhu S, Jain R, and Kerfoot SM. Activated B cells participating in the anti-myelin response are excluded from the inflamed central nervous system in a model of autoimmunity that allows for B cell recognition of autoantigen. Journal of Immunology. 2017. 199(2): 449-457. Rangachari, M, Kerfoot SM, Arbour N, and Alvarez J. Editorial: More than a CD4+ world: a consideration of underappreciated lymphocyte subsets in multiple sclerosis and its animal models. Frontiers in Immunology, 2017; 8:133. Dang AK, Tesfagiorgis Y, Jain RW, Craig HC, and Kerfoot SM. Meningeal infiltration of the spinal cord by non-classically activated B cells is associated with chronic disease course in a spontaneous B cell-dependent model of CNS autoimmune disease. Frontiers in Immunology, 2015; 6: 470. Dang AK, Jain RW, Craig HC, and Kerfoot SM. B cell recognition of myelin oligodendrocyte glycoprotein autoantigen depends on immunization with protein rather than short peptide, while B cell invasion of the CNS in autoimmunity does not. Journal of Neuroimmunology, 2015; 278C: 73-84. Askenase PW, Bryniarski K, Paliwal V, Redegeld F, Groot Kormelink T, Kerfoot S, Hutchinson AT, van Loveren H, Campos R, Itakura A, Majewska-Szczepanik M, Yamamoto N, Nazimek K, Szczepanik M, Ptak W. A subset of AID-dependent B-1a cells initiates hypersensitivity and pneumococcal pneumonia resistance. Annals of the New York Academy of Sciences, 2015; 1362(1): 200-214. Kerfoot SM, Yaari G, Patel JR, Johnson KL, Gonzalez DG, Kleinstein SH, and Haberman AM. Germinal Center B cell and T Follicular Helper cell development initiates in the interfollicular zone. Immunity, 2011; 34(6): 947-960. Kerfoot SM, Szczepanik M, Tung JW, and Askenase PW. Identification of Initiator B cells, a novel subset of activation-induced deaminase-dependent B-1-like cells that mediate initiation of contact sensitivity. Journal of Immunology, 2008; 181(3):1717-1727. Kerfoot SM, Andonegui G, Bonder C. and Liu L. Exogenous stromal cell-derived factor-1 induces modest leukocyte recruitment in vivo. AJP: Heart and Circulatory Physiology, 2008; 294: H2524-H2534. Kerfoot SM, McRae K, Lam F, McAvoy EF, Clark S, Brain M, Lalor PF, Adams DH and Kubes P. A novel mechanism of senescent erythrocyte capture from the circulation in humans. Experimental Hematology, 2008; 36(2): 111-118. Kerfoot SM, D’Mello C, Nguyen H, Ajuebor MN, Kubes P, Le T, Swain MG. TNFα-secreting monocytes are recruited into the brain of cholestatic mice. Hepatology, 2006; 43(1): 154-162. Kerfoot SM and Kubes P. Local coordination verses systemic disregulation: Complexities in leukocyte recruitment revealed by local and systemic activation of TLR4 in vivo. Journal of Leukocyte Biology. 2005; 77: 862-867. Andonegui G, Kerfoot SM, McNagny K, Ebbert KV, Patel KD, and Kubes P. Platelets express functional toll-like receptor-4 (TLR4). Blood, 2005; 106(7): 2417-2423. Khan AI, Kerfoot SM, Heit B, Liu L, Andonegui G, Ruffell B, Johnson P, and Kubes P. Role of CD44 and hyaluronan in neutrophil recruitment. 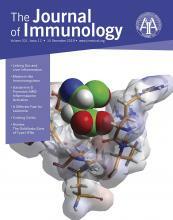 Journal of Immunology. 2004; 173(12): 7594-7601. Kerfoot SM, Long EM, Hickey MJ, Andonegui G, Lapointe BM, Zanardo RCO, Bonder C, James WG, Robbins SM, and Kubes P. TLR4 contributes to disease-inducing mechanisms resulting in central nervous system autoimmune disease. Journal of Immunology. 2004; 173(11): 7070-7077. Kerfoot SM, Lord SE, Bell RB, Gill V, Robbins SM, and Kubes P. Human fractalkine mediates leukocyte adhesion but not capture under physiological shear conditions; a mechanism for selective monocyte recruitment. European Journal of Immunology. 2003; 33(3): 729-739. Kerfoot SM and Kubes P. Overlapping roles of P-selectin and alpha4-integrin to recruit leukocytes to the CNS in experimental autoimmune encephalomyelitis. Journal of Immunology. 2002; 169(2): 1000-1006. Kerfoot SM, Raharjo E, Ho M, Kaur J, Serirom S, McCafferty DM, Burns AR, Patel KD, Kubes P. Exclusive neutrophil recruitment with Oncostatin M in a human system. American Journal of Pathology. 2001; 159(4): 1531-1539. Fritzler MJ, Kerfoot SM, Feasby TE, Zochodne DW, Westendorf JM, Dalmau JO, and Chan EKL. Autoantibodies from patients with idiopathic ataxia bind to M-phase phosphoprotein-1 (MPP1). Journal of Investigative Medicine. 2000; 48(1): 28-39.